The amphibious transport dock ship USS New Orleans (LPD 18) transits the Gulf of Aden. New Orleans is part of the Boxer Amphibious Ready Group and, with the embarked 13th Marine Expeditionary Unit, is deployed in support of maritime security operations and theater security cooperation efforts in the 5th Fleet area of operations. BALI, Indonesia (NNS) -- Sailors and Marines from amphibious transport dock USS New Orleans (LPD 18) and the 13th Marine Expeditionary Unit (MEU) anchored off the coast of Bali, Indonesia, Aug. 7-12. COLOMBO, SRI LANKA (July 25, 2016) The Commanding Officer of the amphibious transport dock ship New Orleans (LPD 18) visited the Commander, Sri Lankan Western Naval Area Command July 25. COLOMBO, Sri Lanka - USS New Orleans (LPD 18) with embarked 13th Marine Expeditionary Unit (MEU) arrived in Colombo, Sri Lanka, for a port visit, July 24. 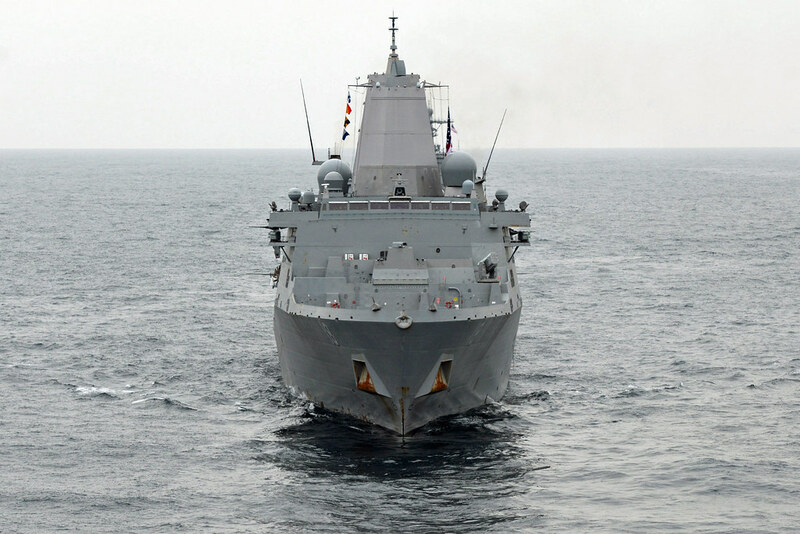 COLOMBO, Sri Lanka - The USS New Orleans (LPD 18) with embarked 13th Marine Expeditionary Unit (MEU) arrived in Colombo, Sri Lanka for a port visit, July 24.